awaits its demon slayer. It awaits you! Create your character and customize it with accessories, clothes, and armor elements looted from enemies or bought from blacksmiths. Level up to unlock new abilities from a vast class-free skill tree. 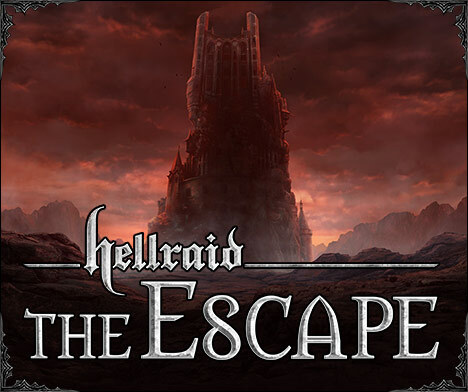 In Hellraid, you can create a demon slayer perfectly suited for your playstyle by combining various active and passive skills – divided into intertwined paths of combat, magic, and agility. 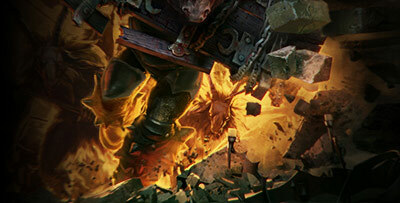 Slash enemies with swords, crush their skulls with hammers, or cut in half with two-handed axes. With diverse fighting styles for different weapons, parrying, counter-attacks and dashing ability, the melee combat in Hellraid is incredibly complex and immersive. You can also use crossbows to fight from a distance, or strike demons with lightning bolts and fireballs while healing your teammates or casting defensive spells.